Spain is one of the most popular destinations in Europe for golf. There are hundreds of top quality golf courses and along with the beautiful climate some of the best golfing in the world. With its stunning landscapes, Spain has long been a popular tourist destination for Europeans, especially the Costa del Sol. Easily accessible to North Americans, Spain has a fine selection of golf courses in the popular areas. Along the Mediterranean, the Costa Del Sol climate has 300 days of sunshine per year. Towns and villages are scattered up and down a 100-mile stretch of coastline from Malaga to Gibraltar. 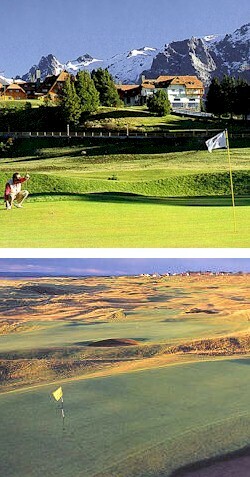 4 rounds of golf in Girona, Spain, in the Catalonia region, along the Mediterranean Sea, near Barcelona. Includes accommodation, rental car and 4 rounds at spectacular Costa Brava courses.